National Scientific Center “Institute of Experimental and Clinical Veterinary Medicine” is the leading veterinary institution of Ukrainian National Academy of Agrarian Sciences. It forms and coordinates the entire row of state programs for scientific leadership of veterinary sector by scientific research institutions as well as veterinary faculties of educational institutions in Ukraine. The scientific activity, fundamental research, implementation of innovations and results of scientific studies into manufacturing as practical proposals, recommendations, instructions and preparations are focused on successful control of diseases in farm and domestic animals, as well as to obtain biologically and ecologically safe and quality animal products. NSC “IECVM” works closely with Ukrainian State Service for Food Safety and Consumer Protection, Ministry of Agriculture, Ministry of Health and other central governmental agencies for intensive development of agrarian science in Ukraine, international collaboration, as well as to accelerate the integration of our country into worldwide and European structures. The Institute was established in 1923 on the basis of Central Bacteriological Station as “Ukrainian Institute of Scientific and Practical Veterinary Medicine” (1923-1934). Taking into account diversified working directions of the institution and its leading role in the development of veterinary science in our country; it has been approved by presidential decree No. 186/2006 of March 3, 2006, the Institute was granted as National Scientific Center, and it is successfully maintained until this time. The institute is composed of 4 departments, 13 laboratories, including avian influenza reference laboratory, scientific library center, 1 scientific research station (Odessa), as well as Dnipro and Poltava research-innovative sectors of veterinary medicine. All these institutions keep well scientific and creative relationship and collaborate with each other when implementing the entire row of tasks according to governmental order. 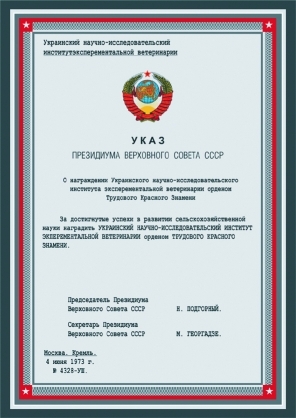 According to orders of Ukrainian NAAS President and the Head of Ukrainian State Committee of Veterinary Medicine, 5 research and production centers were created and keep functioning at the Institute: Center for Research of Cattle Infectious Diseases; for Veterinary Supplement of Poultry Farming; for Toxicological Monitoring and Quality Certification of Animal Feeds and Products; for Studying of Animal Parasitological Diseases; for Animal Tuberculosis Control and Prevention and South-East Center for Prion Infections Studies (according to the Resolution of the Cabinet of Ministers of Ukraine). National reference laboratories for avian influenza and Newcastle disease, tuberculosis, bovine enzootic leukosis, infections pneumo-enterites in calves; animal brucellosis, as well as center for innovative technologies introduction in diagnostics of animal diseases are formed on the basis of specialized research units. Scientists of the institution since its inception until now, pay major attention to study and develop treatment, control and prevent measures against infectious diseases in livestock (leukosis, pseudorabies, tuberculosis, brucellosis et al. ), poultry (highly pathogenic avian influenza, Newcastle, Marek and Gumboro diseases, salmonellosis, mycoplasmosis et al. ), bees (varroosis, nosemosis et al. ), fish (aeromonosis, pseudomonosis et al. ), domestic animals (canine distemper, nematode infections et al. ), parasitic diseases, toxidromes, immunity and metabolic disorders, as well as quality and safety control of animal products. Study of ecological geography and development of means and measures to control spreading of emergent, including cross-border, animal diseases (bluetongue disease, African and classical swine fevers et al.) play an important role at the current stage of institution’s development. Tireless work of few scientists’ generations for more than 90 years of institute’s history allowed carrying out huge volume of research, implementing new preparations for treatment, control and diagnostics and developing effective preventive measures with diseases of farm and domestic animals. Institute has vigorously developed authoritative scientific schools: for study of avian, cattle, swine, bees’ and small pets’ infectious diseases, as well as for toxicology and immunology. Research planning was based on results of informational and analytical search and took into account development trends of veterinary science and epizootic situation in the world, including in Europe and Ukraine. NSC “IECVM” provides full range of diagnostic research on a modern footing (Certificate of appraisal No.45-436/2013 and accreditation certificate in accordance with current standards BS in Ukraine and ISO/IEC 17025:2006 (ISO/IEC 17025:2005) and offers complex systems of veterinary and sanitary measures, research support and advisory services for diagnostics, treatment and control of infectious and parasitic diseases in farm animals and small domestic pets, poultry, bees, fish and silkworms. Implementation of GLP and GMP standards, as well as international quality systems according to institution’s activity area, is one of its priorities. 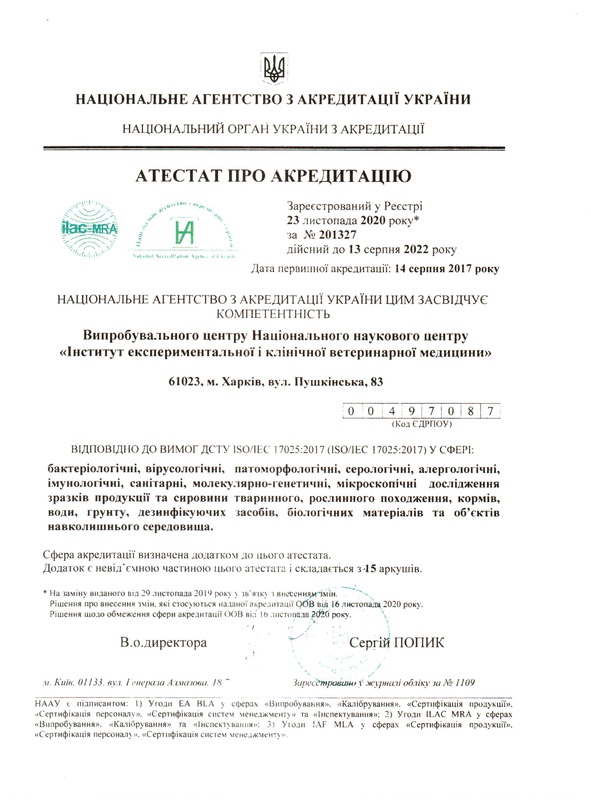 Applied research of NSC “IECVM” in new conditions of agriculture development are focused on development and providing of new efficient veterinary medicines into manufacturing, which greatly contributes to maintenance of epizootic welfare in Ukraine. The most important and competitive innovative research developments of the institute are: purified tuberculin for mammals and birds (PPD), test kit for serological diagnostics of cattle leukosis with immunodiffusion method, liquid cultural inactivated vaccine against pseudorabies, liquid inactivated emulsified vaccine against highly pathogenic avian influenza “AviFluVac IECVM”, bivalent cultural vaccine against Marek disease, PCR test kit for DNA and RNA detection of influenza, Newcastle disease, African swine fever, lumpy skin disease, bovine diarrhea, bovine leukosis viruses, swine circoviruses, IBR virus, pseudorabies, as well as for DNA detection of chlamydia and mycobacteria, vaccine against Gumboro and Newcastle diseases, antigen for diagnostic of bovine viral diarrhea with indirect hemagglutination test etc. Informational support of research in NSC “IECVM” is provided using worldwide scientific informational resources via Internet, LiberMedia retrieval system, CSAL, RAAS, MEDLINE, PNAS, Agris, CABI databases, OIE et al., as well as creation of own informational resources – electronic databases and library stock (approximately volume is 170 000 items of scientific publications). Major attention in the institute is paid to studying of methodological approaches and instruments for market surveys of innovations’ implementations, patent and opportunistic research and patent licensing activity. Attention is also focused on presentations for objects of intellectual property to general public of veterinary scientists and practitioners at international, state and regional exhibitions, symposiums and conferences. Organization of international scientific and practical conferences about actual issues in veterinary medicine has become a noble tradition in NSC “IECVM”. Research results are constantly published in monographs, textbooks, scientific publications, methodological recommendations, instructions and guidelines. 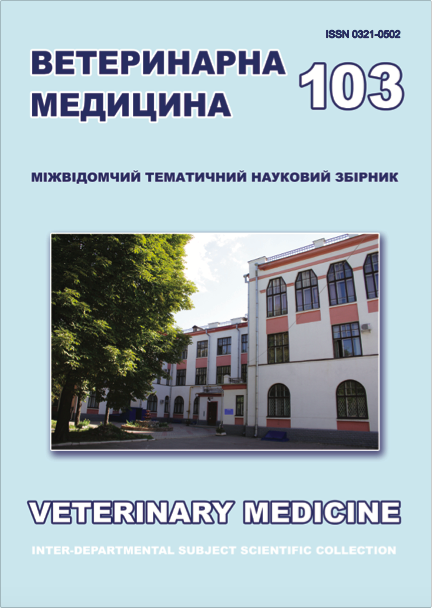 Interdepartmental thematic scientific digest “Veterinary Medicine” is regularly published and included to the list of Ukrainian specialized periodicals as well as to RSCI scientific database (since 2014). 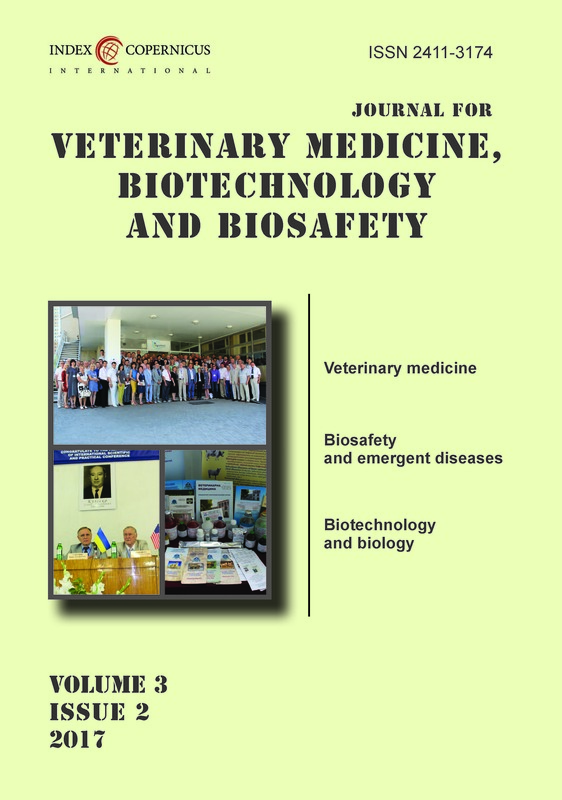 New English periodical “Journal for Veterinary Medicine, Biotechnology and Biosafety”, which has status of veterinary and biological scientific specialized publication, was found in 2015. The periodical was accredited in Index Copernicus, Google Scholar and eLibrary scientific databases in 2016. Postgraduate and doctoral degree courses are significant elements for increasing of institute’s scientific potential. Postgraduate and doctoral degree courses function in NSC “IECVM” in seven specialties: 16.00.03 – veterinary microbiology, epizootology, infectious diseases and immunology; 16.00.04 – veterinary pharmacology and toxicology; 16.00.11 – parasitology; 16.00.06 – veterinary hygiene and sanitary; 16.00.09 – veterinary and sanitary expertise; 03.00.13 – genetics (life sciences) and 03.00.20 – biotechnology (life and agricultural sciences). Specialized Scientific Council for submission of PhD and doctoral theses in veterinary microbiology, epizootology, infectious diseases and immunology is created and successfully works at NSC “IECVM”. Major attention is paid to develop international research ant technical collaboration between the Institute and other veterinary research institutions in Poland, Serbia, Germany, China, Switzerland, United Kingdom, Italy, Spain, Canada, Sweden, France, Denmark, USA and CIS countries, which is based upon bilateral agreements and foresee internships, participation in congresses and conferences, as well as sharing with research and technical information. To improve innovative activity of NSC “IECVM”, promote competitive developments to high technology market of neighboring and far foreign countries, as well as to attract investments, scientists develop projects for participation in research grants’ contests led by international institutions. Researchers of NSC “IECVM” actively participate in educational process: deliver lectures and provide practical classes. Students pass pre-degree internships, acquire research methods and gain practical experience in research units of the institute. 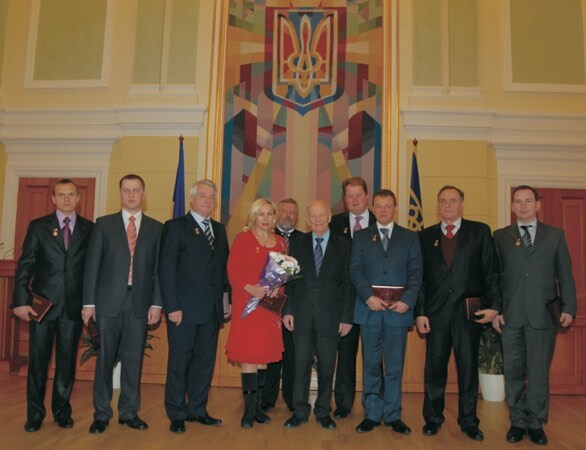 Employees of the institute were repeatedly awarded with honorary diplomas and distinctions of Ukrainian NAAS, State Veterinary and Phytosanitary Service of Ukraine and Kharkiv Region State Administration for great contribution in the development of veterinary science and industry. 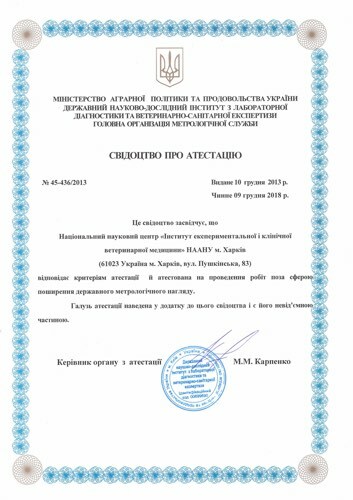 Researchers of NSC “IECVM” awarded with Ukrainian State Prize in science and technology in 2009 and 2016 for development of “Epizootic monitoring, immunoprophylaxis and diagnostic system of highly pathogenic avian influenza in Ukraine” and “System of veterinary and zootechnical measures against bovine leukosis”. Institute’s staff works with maximum effort, increases greatest traditions of scientific schools and always keeps up with the time since institute’s inception until now. The main goal of NSC “IECVM” specialists is to increase their contribution into veterinary science and practice, keep maintaining of livestock industry’s veterinary welfare and develop Ukrainian economics.